If it takes you more runway than a Boeing jet to stop your car, it may be time to get your brakes checked at Mercedes-Benz of Bend’s service center. Your brakes don’t just keep you safe, they keep everyone else on the road safe as well. When you start hearing that oh-so-dreaded screech, come down to our service center for an inspection. 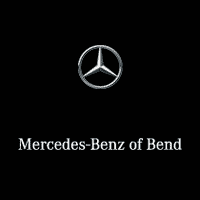 Mercedes-Benz of Bend is here to help you make sure your brakes are working properly and that there is enough of your brake pad left to be deemed safe to drive with. Brakes are designed to slowly wear out over time. It’s so important to visit your local Kendall Dealership where an expert technician can perform a thorough inspection and complete any needed maintenance or repairs. Have you ever wondered when you should change your brake pads? If your brakes make a screeching sound, or you feel like you have to apply more pressure to the brake pedal than usual, then your brakes definitely need a checkup. These are signs you shouldn’t ignore. Even if you don’t notice any signs, an examination at your Mercedes-Benz Dealership can save you money on expensive maintenances. At Mercedes-Benz of Bend, we’ll stop at nothing to make sure you can stop for anything. Our technicians will match your car to the right brake pads that are specifically designed and engineered for your vehicle. For optimum stopping power, schedule a brake inspection at Mercedes-Benz of Bend.